In the United States, we’re used to a one-tiered structure of board governance. Board members are appointed to govern and oversee the operations of a company. The limits of their power are laid out in a set of bylaws. As needed, a board may call for the formation of a separate advisory board or committees to serve in a more focused capacity. This is the board structure we know. But it is not the only one. In the 19th century, Germany introduced a new structure of corporate governance. In this structure, one board is appointed to oversee routine managerial tasks and transactions while a separate, independent board handles the long-term strategic planning and decision-making. The latter, the “supervisory board”, oversees the former, the “management board”. The supervisory board—often appointed by shareholders—is commonly made of experts working outside of the company it serves. In some cases, a few employee representatives are appointed to the board to improve communications between tiers and provide insider insights. The management or “executive” board is commonly comprised of the company’s senior-level employees—often appointed by the supervisory board. Under a two-tiered structure, the CEO typically chairs of the management board, but is prohibited from serving on the supervisory board. This two-tiered structure of board governance became popular across Europe and some parts of Asia. Today, roughly a third of EU member states require a two-tier board structure. This structure is optional in roughly another third of member states but is, in most cases, preferred. This poses a question for American boards: if so many other countries prefer the two-tier structure, are we getting it wrong? Before we’re able to answer that question, it’s important to understand the finer details of how these two board structures differ. It should come as no surprise that two-tiered boards tend to be larger, on average, than the one-tier “unitary” board structures popular in the United States. Research would suggest that a larger size would be a hindrance to dual boards. Yet, despite all evidence to the contrary, two-tiered boards have failed to realize any disadvantages attributable to size alone. 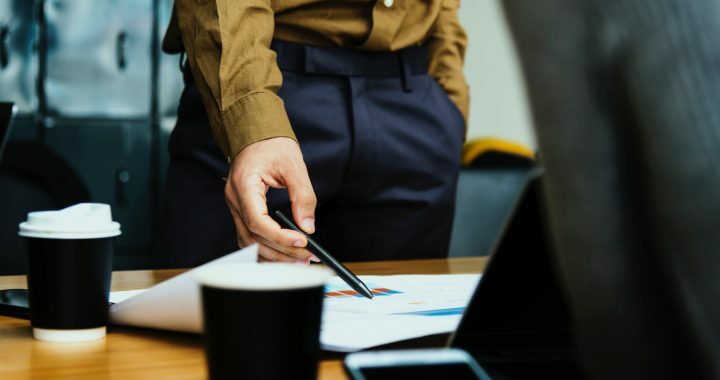 Researchers have theorized that this inconsistency stems from the fact that management boards, as seen in the two-tiered structure, often have far fewer members than supervisory boards. The thought is that the smaller size of the management tier cancels out the lower performance we would expect to see in boards with as many members as the combined tiers. The structure of a two-tiered board provides a natural balance which, as we’ve emphasized before, can play a vital role in the outcome of effective decision-making. The mix of employees and independent directors balances out aversion to risk and ensures that someone involved in the decision-making process is representing the best interest of employees. Organizational theorists generally agree that the duties of a board can be divided into three categories: control, strategy, and service. Under the governance of a one-tiered board, directors are expected to perform all three roles. In a two-tiered system, strategy and service are executed by the management board while the supervisory board while the control is handled by the supervisory board. Dual board structures typically grant employees more influence over the appointment of supervisory board members who best represent their interests. A two-tiered board is structured to naturally reduce some of the biases which have proved to be problematic under the one-tier system. Board appointments are made by shareholders, stakeholders, and other board members (who, themselves, were appointed by share– or stakeholders). This ensures that board members represent the best interests of the company and its staff. On unitary boards, however, directors are often appointed based on friendship. The missed opportunity in not bringing more expertise to the table, alone, is problematic. Add to it—the fact that friends are much less likely to be openly critical of each other’s ideas—and single-tiered boards find themselves at a sizable comparative disadvantage. The two-tier structure prevents a CEO from serving dual role as the chairman of the supervisory board. Removing the possibility of CEO duality—a proven detriment to single-tier boards—also works in favor of dual boards. While a two-tiered structure offers some advantages over a unitary structure in its roles, representation, and balance, it does have a few drawbacks. Supervisory boards emphasize the appointment of independent directors to supervisory boards. While these directors may be appointed with the best interest of the company in mind, independent directors often stand to benefit—both financially and in their industry reputations—from the success of the company’s stock. While prioritizing stock market performance may be in the company’s best interest, it’s not always in the best interests of its employees. Warping a board member’s “independence” in this way also leads to more risk averse positioning, often limiting the company’s growth. Looking at the differences between the two structures of board governance, there doesn’t appear to be a “winner”. Research focusing on the comparison of these structures has yet to conclusively determine one as well. But, maybe the question isn’t whether a dual board structure is more effective than a unitary structure. Maybe we should be asking what the United States can learn from a dual governance structure. Two-tier boards succeed where single-tier boards often fail. A dual board appoints members based on expertise over friendship. A dual board relies on the effectiveness of a small group to execute a strategy that is informed and guided by a larger group of experts. Boards in the United States often struggle both with size and with the effective utilization of expert insights. Yet, both structures fail in many of the same ways. The effectiveness of a small management board can easily be canceled out when a supervisory board overexerts its controlling powers, drastically increasing the size of the decision-making group. Similarly, unitary boards often suffer when they fail to manage evaluating the ideas of a larger group with the deliberation necessary for decision-making. Both unitary and dual-structure boards suffer when the independence of its members is tainted. Focus on fixing the issues that plague single-tier boards. Some of those issues are inherent to its structure. Many more, however, are the products of its members. And many of these issues aren’t hard to spot. The first step in fixing these problems is identifying them. Our blog can help with that. The next step is to address those problems. While we can’t help boards address every problem they face, we’ve got your back on the big ones. Communication. Time efficiency. Information security. 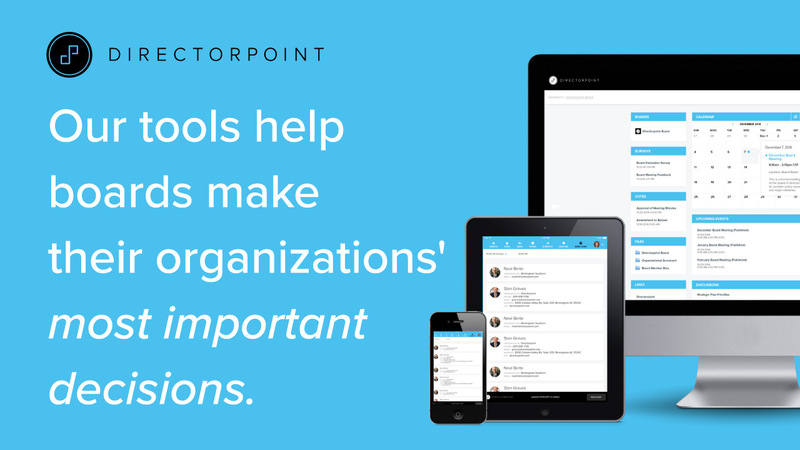 Directorpoint’s smart, easy, and secure software is helping businesses make better decisions across the board. How do we do it? Schedule a demo and see for yourself! Block, D., & Gerstner, A. M. (2016). One-tier vs. two-tier board structure: A comparison between the United States and Germany. De Moor, C. (2014). Board effectiveness: one-tier versus two-tier boards (Doctoral dissertation, University of Ghent). 2015 Spencer Stuart Board Index. November 2015, available at: https://www.spencerstuart.com/~/media/pdf%20files/research%20and%20insight%20pdfs/ssbi/2015_110215-web.pdf?la=en. Posted in All About It, Blog and tagged Board Governance, board management, board of directors, governance.